From time to time, it’s nice to take a little step back from being frugal and savvy and making your money ‘go the distance’ to do something that will make you see out the rest of the day with a smile on your face. That thing which will result in a happier you is by doing something for a charity. Obviously, there are millions of charities out there that are all out to raise money for different causes so the choice is up to you but if there’s something that’s close to your heart, why not donate some money, or do something special that will mean a lot to the charity and to you. 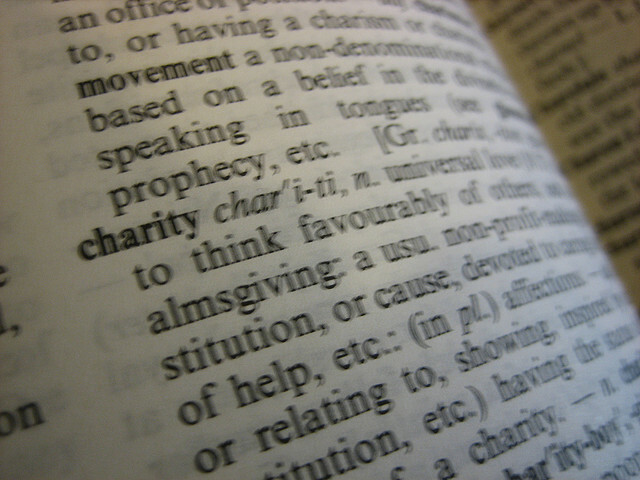 There are a number of different things that you can do to help out a charity of your choice. From donating money to them to doing an event or an activity and raising money, the possibilities are endless. There’s some rather bizarre fundraising events that people have managed to do whilst raising money for charity and there are also some rather spectacular ones too. One of the most odd charity fundraisers we’ve seen is the most money raised for charity by haircuts in 24 hours. This was achieved by a company called Aveda, a global chain of salons from the UK, USA, Australia, Canada, Germany, China, Japan, South Korea, Switzerland and Turkey and salons in all of these places took part in the event on Earth Day. All of the money that was raised from the ‘cut-a-thon’ was donated to a number of different charities across the world and the amount they raised in total was £50,256.40. One man, one brave man decided he would do something that not a lot of people ever dare to put themselves through. He sat in a shop window full with 400 venomous spiders for three weeks and prior to starting it he admitted that he wasn’t particularly fond of spiders. Nick Le Souef who has been affectionately named ‘the spider man’ is the holder of a number of other records in Australia. He holds records for three-week stints in a snake pit, a shark tank and a cage filled with redback spiders. The stunt helped him to raise around (AUD)$50,000 for Australian children’s charity, Variety and in doing so, the 400 spiders began to dwindle down to 300 as the arachnids turned on each other due to a lack of food. One event that is coming up within the next 10 weeks or so is an endurance walk. It’s been coined the “24 Hour Walkathon” and it is three young lads who are going to be enduring the weather conditions that September has to throw at them whilst walking 67 miles from the Britannia Stadium, home of Stoke City Football Club, back to Deepdale Stadium, home of Preston North End. The plan is to walk the 67 miles in under 24 hours with only the bare minimum in terms of water and slow release energy food and then to rely on the charity of local people along the route back to Preston to ensure that they get fed and watered properly. So, that’s some of the weird, wacky and wonderful charity and fundraising events that we’ve seen around. Now it’s your turn. What have you done, or planning on doing for charity? We’d love to know!